Notary will come to you! Professional notary service at your home or office at your convenience! Appointed in 1995, I am an experienced Louisiana Civil Law Notary Public. I am a mobile notary and will travel to your workplace, home, medical facility or other convenient location to handle your notary needs. Why drive around town looking for a notary? I save you time and offer you convenience by coming to you by appointment. I expedite service to all area hospitals to provide notary service to patients and their families. I can prepare both General Power of Attorney and MedicaI Power of Attorney documents. I service Ochsner Hospital (all locations), East Jefferson Hospital, University Medical Center, Tulane Medical Center, Touro Hospital, St. Charles Parish Hospital, and West Jefferson Medical Center. I also provide notary service to metro New Orleans nursing homes and retirement communities. I can prepare general power-of-attorney and healthcare power-of-attorney documents at any hospital room, nursing home, or retirement community. I have a full service mobile office, including computer, printer, wireless internet, and copy service. Scheduled appointments available 7 days a week, including evenings. Mobile Notary Service - I come to you! No more wasted time and gas looking for a notary. Are you outside of the Greater New Orleans, LA area and need a document reviewed and signed by someone? 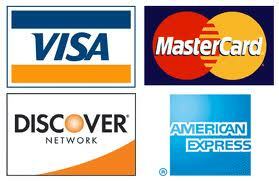 I accept documents by overnight courier (Fed Ex or UPS) or emailed documents. I will make an appointment with the signer, ensure the signer is properly identified, have the document completed, signed and notarized, and return to you by your choice of shipping. I meet clients by appointment at their home, office, or any other convenient location to ensure a successful transaction. Need a document notarized? Can't get away from the office or you need a notary to come to your home? Please contact me for an appointment so that I can provide you with the best service. Call 504-669-7995 or use the email button at the top of this page. Remember, in most cases the notary must witness your signature so do not sign any documents until you meet with the notary. You will also need current photo identification, such as a driver's license, state ID card or passport, that must be presented to the notary at the time of the document signing. For courteous, accurate, dependable, and professional document signings please call at 504-669-7995 or send me an email by clicking on the email link at the top of this page. I can handle your signings for structured settlements and loan and real estate closings. I am experienced with oaths of medical review panel members, affidavits of custodian of medical records, and depositions by written questions. I have assisted many parents with an Acknowledgment of Paternity Affidavit to change a birth certificate to provide a father's name and change a child's last name. I am a member of the National Notary Association. I am insured, bonded and have been background screened and certified as a Signing Agent. Anyone needing the convenience of having a notary come to them!